‎I’ve been working with David at Crossroads for over 20 years now. We appreciate the expertise and attention to detail that is so important to a Custom Home Builder. Thanks David! As a site superintendent, I must say it has been a pleasure working with crossroads stamped concrete. Good quality people, who do good quality work. From initial conception to the finished products, the guys at Crossroads are pros. I really appreciate the smooth process, the crews were knowledgeable and courteous to all my questions.The recommendations they made were perfect; made the driveway /walkway/stairs better than I expected. Makes our house look brand new! Thanks so much to everyone at Crossroads! 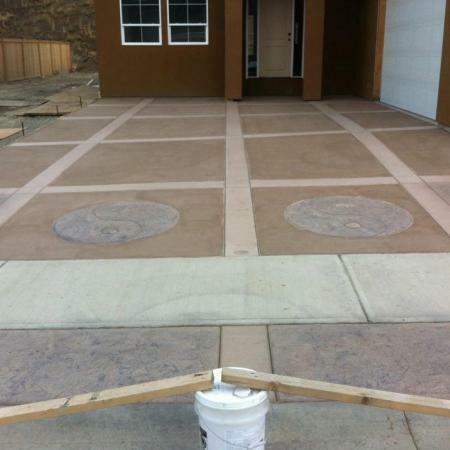 David Wreggitt of Crossroads Stamped Concrete has worked with me for over 10 years. 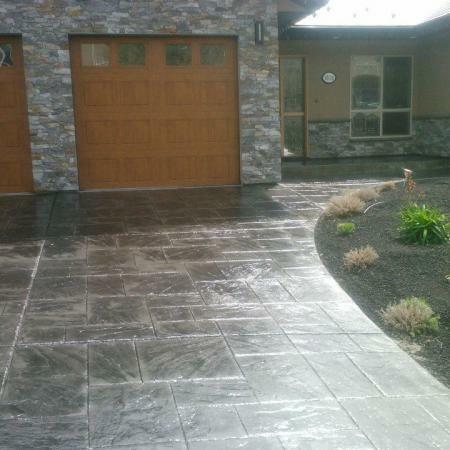 Over that period he has placed concrete floors, driveways, sidewalks and city curbs in various finishes including smooth, broom, exposed aggregate and stamped concrete. He has shown himself to be dependable, conscientious, honest and his workmanship shows his caring attitude. Trademark is a residential building and renovation company based in the Lower Mainland, of B.C. with over 25 years’ experience in the construction industry. We Pride ourselves with providing clients with the highest quality workmanship in all aspects of the construction industry. We first started working with Crossroads Concrete back in 1995 in the Manor Park subdivision of Walnut Grove, Langley, B.C. We frequently call on Danny and Dave and their team of skilled tradesmen to perform top quality concrete placing and finishing on jobs of all sizes. I highly recommend Crossroads Concrete not only for their workmanship, but also for their professionalism in the industry. We had an old brick patio that we wanted removed and replaced with a stamped and coloured patio. Danny and Dave were great at suggesting design and colours that would match our house and yard. I have been a tradesman for 35 years and I am a bit of a perfectionist. I told the guys that I am very picky and they had no issue with this. They were very quick at removing the old bricks, prepping the site and pouring and stamping the new concrete. They left the site very clean and sealed the concrete for a long lasting finish. The patio turned out far better than I ever imagined. Our strata liked the patio so much that they want other owners to use our patio as a benchmark for future upgrades. These guys are very customer oriented, easy to talk to and take pride in there work. Thank you for the great workmanship on our new patio. I was impressed with the finished product but more importantly on the entire project. I am pleased to say that we chose the right contractor for the project. together, measured with marking paint prior with such incredible detail. I will be sure to recommend Danson Ventures to anyone I know that is looking for a patio!